Help Fredric Aasbo get to Sonoma! I had a brief conversation with Fredric Aasbo and his crew chief Steffen Moy just last night. Seems these boys need some assistance getting to Formula Drift Round 5 at Sonoma. 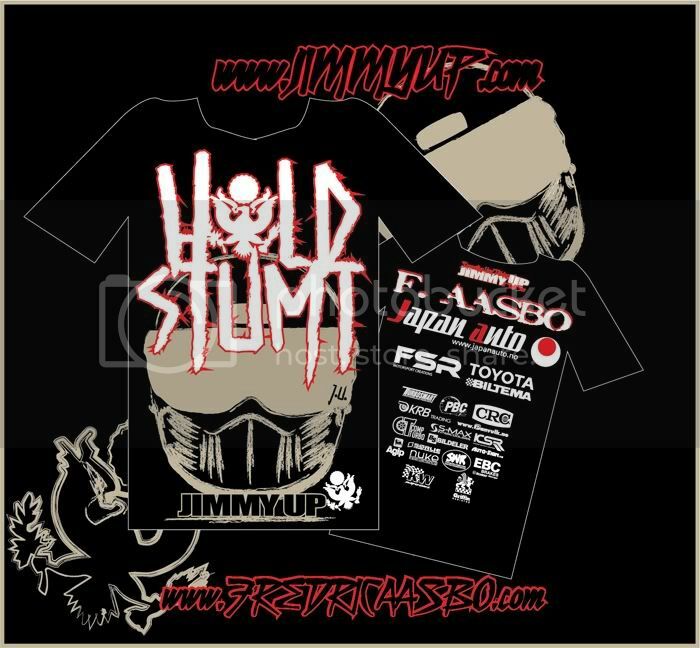 Our Boy Mike Mancuso at Jimmy UP clothing has designed a shirt for Fredric to help earn some cash. The Breaking Point Formula D Seattle from Ross Fairfield on Vimeo. Charles Ng 2010 backtrack from Ross Fairfield on Vimeo. Formula Drift Atlanta Round 2 from Ross Fairfield on Vimeo. SHR invades Atlanta from Ross Fairfield on Vimeo. Sam Hubinette and company invades Road Atlanta for the 2nd round of Formula Drift competition.